In the amusing rantings of editorial pages in college newspapers, writing sarcastic comments about sunshine has been a tried-and-true right of spring. But this year the tide is turning, as young journalists are catching on to the fact that the establishment has misled them about the “dangers” of sun exposure. 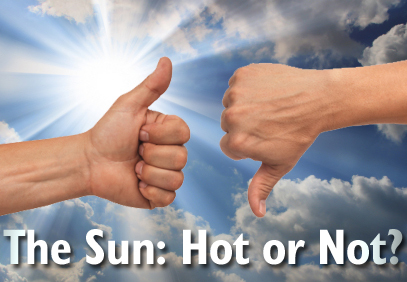 What’s more, they’re doing the new math: The benefits of regular, non-burning UV exposure easily outweigh the easily manageable risks. Even his counterpoint partner, Eric Uthus, has to be wry to make his anti-sun point – which falls on deaf ears in cloudy, light-deprived Seattle. To read the entire point-counterpoint essay, click here.